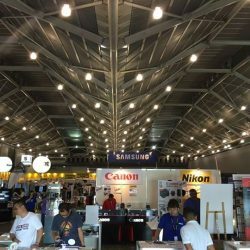 12 - 22 Jan 2017 Singapore Expo: Robinsons Expo + Up to Additional $30 OFF for Members! 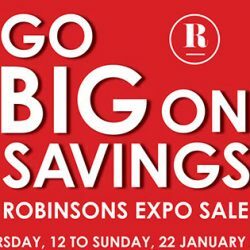 Shop for clothing, beauty products, bedding and more at Robinsons Expo Sale from 12 to 22 January 2017! OCBC Robinsons Group Visa Cardmembers' Preview is happening from 12 to 15 January and members will get further discounts up to $30 off with min. spend. Do your CNY shopping there! 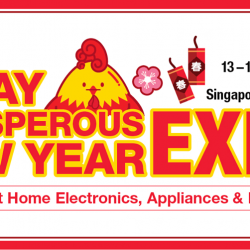 The long awaited CNY Electronics Expo 2017 is here! 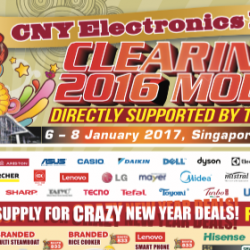 For 3 days only from 6-8 January 2017, 11am - 9pm at Singapore Expo Hall 6! Clearing all 2016 models directly supported by Top Brands! Unlimited supply for crazy new year deals for Friday and Saturday only! Super hot deals as low as $9.90! 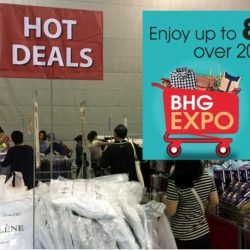 It's BHG's LAST EXPO of the year, starting today 15 Dec till this sunday! Enjoy up to 85% off over 200 brands and catch HOT DEALS & PWPs while stocks last! 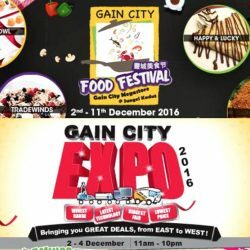 Till 11 Dec 2016 Gain City: Food Festival + Expo Deals on Home Appliances & Electronics Products! The Gain City Food Festival is happening at the Gain City Megastore @ Sungei Kadut from today to 11 December! At the same time, look forward to the EXPO deals on televisions, ovens, washers, fridges, fans, air-conditioning, IT products, bedding and more till 4 December! Also happening at Singapore Expo Hall 5B! With performances, cooking demos and even a meet & greet session with your favourite DJs, it's gonna be quite the party and you're invited! While you are at Singapore Expo for the Timberland Expo Sale, also pop by The North Face's Winter & Sports Expo Sale happening from now till 27 November! 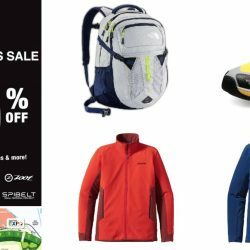 Enjoy UP TO 60% OFF The North Face, On, Zoot, SPIBelt, Asics & many more! 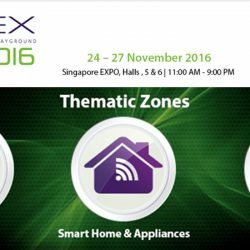 24 - 27 Nov 2016 Singapore Expo: SITEX 2016 With brochures! The longest run IT show SITEX is back again this year from 24 to 27 November 2016 at Singapore Expo! Enjoy an experiential expedition with SITEX at various thematic zones: Adventure IT Zone, Smart Home & Appliances and Gaming Arena. SITEX is never all about spending on the latest tech products, you stand a chance to walk away with attractive prizes such as the latest gadgets and cash! 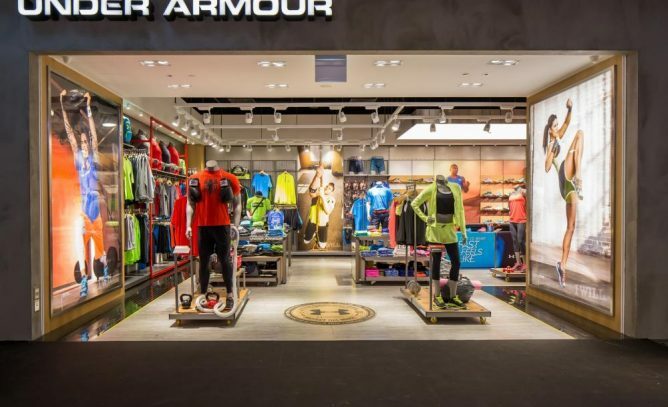 Head down to SITEX and grab the latest products and participate in their lucky draws! 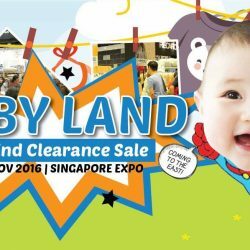 18 - 20 Nov 2016 Baby Land: Year-End Clearance Sale with Deals Starting from As Low As $1! The One and Only Baby Land - Year-End Clearance Sale is COMING!! Happening from 18 to 20 November 2016 at Singapore Expo Hall 6, grab deals starting from as low as $1! Look out for all the crazy deals & promotions from milk bottles to strollers to playpens & more. 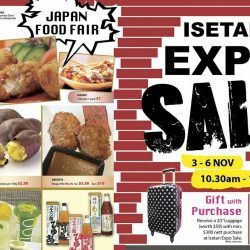 Join the Isetan Expo Sale from 3 to 6 November 2016 at Expo Hall 5B! Lots of great savings from fashion to household items. Plus, enjoy lots of yummy Japanese food! The Consumer Electronics Expo 2016 is happening from 21-23 October 2016! Super massive discount up to 85% off at their Year End Clearance Sales! Great products at unbelievable prices! Don't miss it! 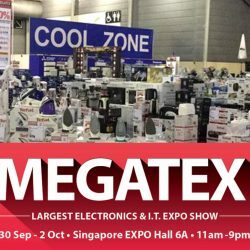 Megatex is back at Singapore Expo from today till 2 October! 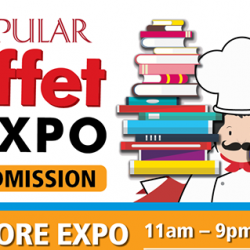 Touted to be the largest Electronics & I.T Expo Show, expect more than 8000 deals from only $6! Also grab a $10 voucher to use on any single item purchase with no minimum spending at Megatex! 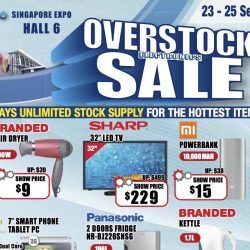 Starting today till 25 September 2016, get your home appliances and electronics products at Overstock Electronics Sale happening at Singapore Expo Hall 6! Save up to 80% on products from Casio, Panasonic, Sharp, MI, LG, Samsung, Philips and more. NETS/DBS/OCBC/Standard Chartered cardholders enjoy additional 15% off for TV, fridge and washer products. 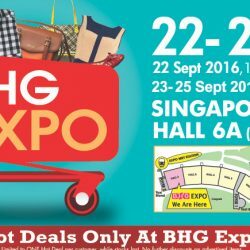 BHG Expo is starting tomorrow till this Sunday 25 September 2016! Hurry down & get to enjoy up to 85% off over 200 brands, HOT DEALS, PWP & more! See you there! With more than 80 participating brands and discounts off Electrical and IT products at Electronics & Tech Expo, enjoy the BIGGEST trade-in value on Aircon, Computers, Laptops, and Smartphones! 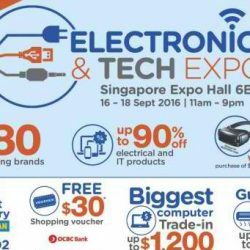 Happening at Singapore Expo starting today till 18 September 2016 for 3 days, get bargains on electrical and IT products up to 90% off. Flash your HomeTeamNS membership card to redeem a FREE* $10.00 voucher! FREE $30 Shopping Voucher with minimum spend of $999 in a single receipt on OCBC 0% IPP. 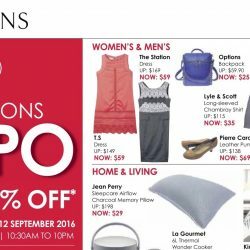 Shop for clothing, beauty products, bedding and more at Robinsons Expo Sale from now till 12 September 2016! OCBC Robinsons Group Visa Cardmembers' Preview is happening from 2 to 4 September and members will get further discounts up to $30 off with min. spend. All shoppers will also stand a chance to win a pair of Silkair plane tickets to Laos. Hurry down now! Are you hungry for books? Whet your appetite at the [email protected]! POPULAR and Citi Cardmembers get an exclusive preview on 1 Sept, 11am - 3pm when they present their POPULAR or CITI Card upon entry. Non-members can enter after 3pm. T&Cs apply. 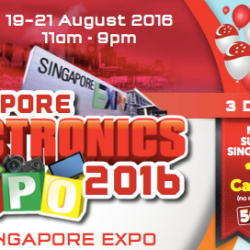 Get your home appliances and electronics products from the Electronics Expo 2016 starting today till 21 August 2016! 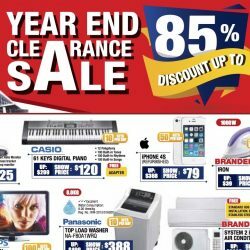 For 3 days only, enjoy up to 95% off on clearance stock from top brands like LG, Panasonic, Samsung, Philips, Electrolux and many more. Free $10 Cash Voucher will also be given to all Singaporeans and PRs! Only 5000 vouchers per day! 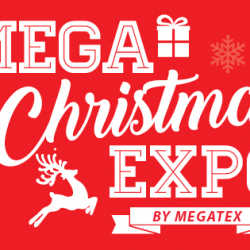 4 more days to the end of our Mega Expo Sale! Here are more great deals. Come visit the Gain City Extended Official Opening Sale now happening at Expo Hall 6B and the Gain City Megastore @ Sungei Kadut and take advantage of special deals on household appliances, consumer electronics, IT and more!! Everything You Need, Everything You Want! With massive discount up to 90% OFF! 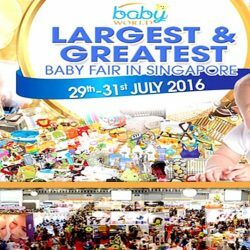 Singapore's No.1 Leading baby fair will be bringing together some of the finest mother, baby and toddler product distributors in Singapore! Meaning you can browse or shop for everything from children's clothing and bespoke nursery furniture, to maternity wear and baby care options, all under one premium roof! The one stop place to shop for all your baby products and enjoy great savings! 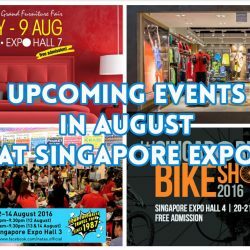 Singapore Expo: Upcoming Events in August 2016! 4 major events are upcoming at Singapore Expo, mark your calendars now so that you won't miss it! 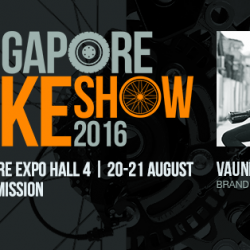 Singapore Bike Show 2016 will be take place in Singapore, 20-21 August 2016, at Singapore EXPO Hall 4! The show will showcase the latest models and designs of motorcycles, bicycles and e-bikes worldwide, and actively promote safe riding and cycling. Planning for the next holiday trip to Europe? Look no further, as the long awaited event NATAS Holidays 2016 is finally back in town! 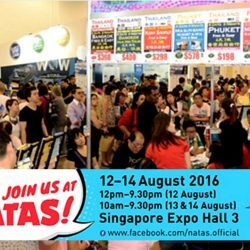 Happening at Singapore Expo from 12 to 14 August 2016, head there to check out travel packages from travel agents, gather information on your travel destination, or grab deals for flights, car rentals or other travel services!